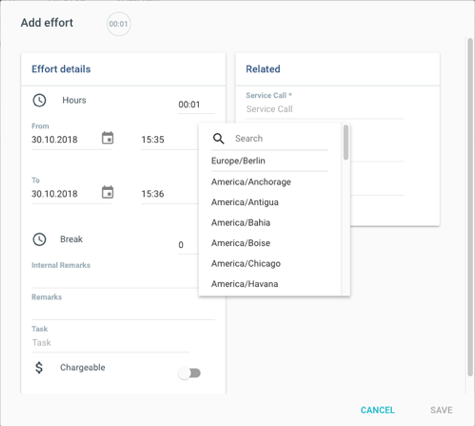 The Time & Material Journal feature allows administrators to view, edit, delete, and approve technician-input values such as mileage, time, efforts, and material critical for billing and service call completions. In order to operate the Time & Material Journal approval functionality, you must complete the following configuration steps. From the main page of the Coresystems store click on the “Cloud Users” link. 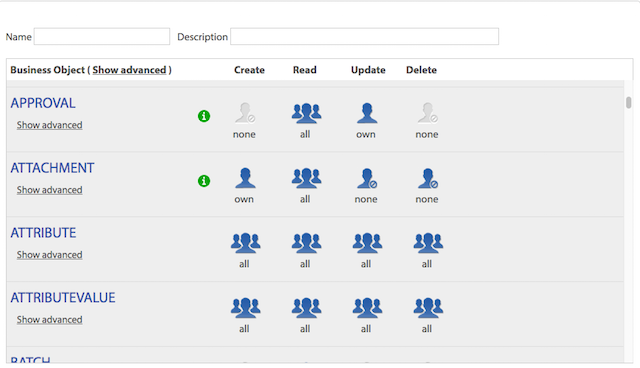 Search for the cloud user for whom you would like to assign permissions to approve T&M entries. Click on the user record. Note The Approval Status will display only after the following business rules have been enabled. In the Business Rules & Notifications tab of the Administration module, there are several prebuilt business rules that are used to synchronize approved data to an ERP. Navigate to Admin > Companies . Select a company and click Business Rules & Notifications from the side menu. When technicians respond to a service call, often they are required to enter effort, expense, material, and mileage information for customer billing or record-keeping purposes. Once the activity is closed, the information can no longer be edited by the technician. When this checklist data is synchronized from the mobile application, Time & Material information will then be available in the T&M Journal tab. From there, you can review, edit, approve and/or deny records. When Time & Material data is approved, it will then be synchronized with the ERP. Please note that only approved data will be synchronized. Duplicate Duplicate the effort, equipment, material, and/or mileage record. By selecting this option, the application will create a copy of the record. Changes can then be made as needed to the duplicated record. Review Review the effort, equipment, material, and/or mileage record. 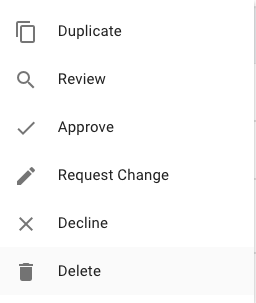 By selecting this option, the status of the record will change from Pending to Review and the record can be reviewed and/or modified as needed before being approved, declined, deleted, or sent back to the technician/field employee as a change request. Approve Approve the effort, equipment, material, and/or mileage record. By selecting this option, the status of the record will change from Pending/Review to Approved. The information from the record can then be synchronized with the ERP system in the backend for billing/invoicing purposes. Request Change Send a change request to the technician/field employee so they can modify the record or add additional information. By selecting this option, the techncian/field employee will receive a notification with a prompt to update/append the record and resubmit for approval. Decline Decline the effort, equipment, material, and/or mileage record submission. 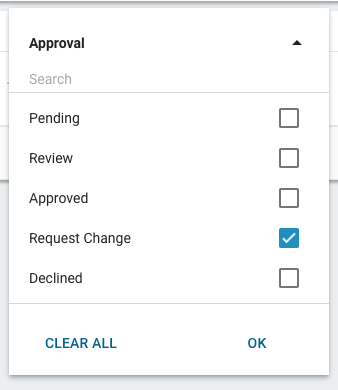 By selecting this option, the record status will change from Pending/Review to Declined. Delete Delete the effort, equipment, material, and/or mileage record. By selecting this option, the record will be removed from the Time & Material screen and will no longer be visible/available. Time & Material Entries can be filtered by both Approval Status (example: pending) or certain column headers (example: service call). Pending This status indicates that the Time & Material entry is still pending and has not yet been reviewed. Review This status indicates that the Time & Material entry is currently being reviewed. Approved This status indicates that the Time & Material entry has been reviwed and approved. Request Change This status indicates that a request has been made to change the Time & Material entry in order to be approved. Denied This status indicates that the Time & Material Entry has been reviewed and denied, meaning that corrections are required. Approval By selecting this filter, you can filter based on entry status (Pending, Review, Approved, Denied). Refer to table above for more details. 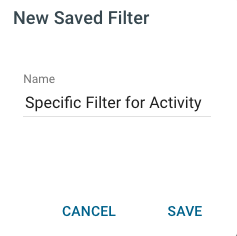 Activity By selecting this filter, the application will redirect to a text-entry field, in which you can enter activity details in order to filter the Time & Material entries. Technician By selecting this filter, the application will redirect to a text-entry field, in which you can enter the technican name in order to filter the Time & Material entries. Customer By selecting this filter, the application will redirect to a text-entry field, in which you can enter the customer name in order to filter the Time & Material entries. Equipment By selecting this filter, the application will redirect to a text-entry field, in which you can enter the equipment name in order to filter the Time & Material entries. 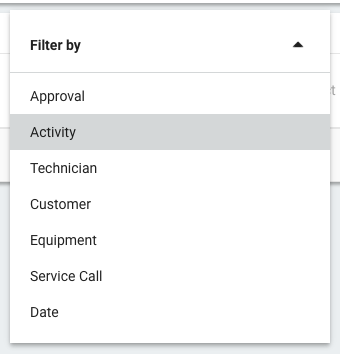 Service Call By selecting this filter, the application will redirect to a text-entry field, in which you can enter the service call name or number in order to filter the Time & Material entries. Date By selecting this filter, the application will redirect to a calendar picker, in which you can select the date range in which the service call took place. Filters comprised of one or more filters can be saved by selecting the ⋮ action menu. When saved, the filter is saved to the account in the Select Filter dropdown and can be used as needed in future sessions. It is here in the Effort tab where you can view and manage technician time records for service calls and other activities. Approval The current approval status of the record. Technician The name of the responsible technician that responded to the service call. Call ID The unique numerical ID of the service call. This number is generated by the application. Subject The subject of the activty/service call. This information is entered when creating an activty/service call. Duration The total duration of the service call. Chargeable Slider. When blue, it indicates that the effort is chargeable, meaning that it can be included in the bill. Start The date and time on which the activity related to the effort occured. Technician Required. The name of the responsible technician that responded to the service call. Approval The current approval status of the effort (example: Pending). Task Dropdown. Predefined list of values. The task associated with the service call (example: repair, inspection). Start The start date and time of the service call logged by the technician. End The end date and time of the service call logged by the technician. Break in Minutes If applicable, the break time in minutes taken during the service call logged by the technician. Chargeable Slider indicator. When blue, indicates that the effort expense is chargeable, meaning that it can be included in the bill. Remarks Text entry field. If applicable, any customer-facing remarks. By clicking on this field, you can enter customer-facing remarks. Internal Remarks Text entry field. If applicable, any internal remarks (not shared with the customer). By clicking on this field, you can enter internal remarks. Customer The customer associated with the expense. Service Call The unique numerical ID of the service call. This number is generated by the application. Subject The subject of the activity/service call. Internal Amount The internal cost for the expense. Type The type of expense (example: food, travel). Chargeable Yes or no. $ indicates that the expense can be invoiced to the customer. Date of Expense The date and time on which the expense occurred. Service Call The Service Call associated with the expense. Activity If applicable, the activity associated with the expense. Technician The name of the responsible technician. Approval The current approval status of the expense (example: Pending). Date of Expense The date on which the expense occured. Internal Amount Not shared with customer. The internal cost of the expense. External Amount If chargeable, the amount invoiced to the customer. Chargeable Slider indicator. When blue, indicates that the expense is chargeable, meaning that it can be included in the bill. Attachments If applicable, any attachments associated with the expense detail. Item The items associated with the Material record. Chargeable Yes or no. $ indicates that the material can be invoiced to the customer. Unit Price The unit price of the item. Quantity The total number of items. Date of Material The date and time on which the material was used. Approval The current approval status of the material (example: Pending). Item Dropdown. Predefined list of values. The item used in the service call. Item data is managed using the Master Data Management module. Equipment Dropdown. Predefined list of values. The equipment repaired in the service call. Equipment data is managed using the Master Data Management module. Warehouse Dropdown. Predefined list of values. The warehouse from which the item was taken. Date of Material The date on which the item was purchased. Quantity The number of items purchased. Duration The duration of the travel time. Distance The total distance associated with the mileage record. Chargeable Slider indicator. When blue, indicates that the mileage can be invoiced/charged to the customer. Date The date and time on which the mileage occurred. Technician Required. The name of the responsible technician. Approval The current approval status of the mileage record (example: Pending). Date The date on which the mileage occurred. Travel Start Time The beginning date/time of travel. Travel End Time The ending date/time of travel. Start Position Text entry. The beginning position associated with the mileage. Destination Text entry. The destintation, or location of the scheduled activity/service call. Distance The total distance between starting position and destination. Private Car Indicator. Indicates that the automobile associated with the mileage record is privately-owned. Driver Indicator. Indicates that the responsible technician was also the driver. Chargeable Indicator. Indicates that the mileage record can be invoiced/charged to the customer. Remarks If applicable, any remarks associated with the mileage record. The Overview tab provides a high-level overview of T&M Journal entries. Type The type of Time & Material record (effort, expense, material, mileage). Creation Date The date on which the service call was created. Approval The current approval status of the record (example: Pending). Technician The name of the technician associated with the record. Service Call The unique numerical ID associated with the service call. Details The total duration of the Service call, with start and end time displaying below. Chargeable Indicates whether the item is chargeable/can be invoiced to the customer.